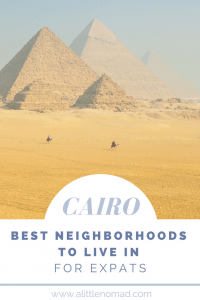 Living in Cairo – Which Neighborhood Is Best For Expats? 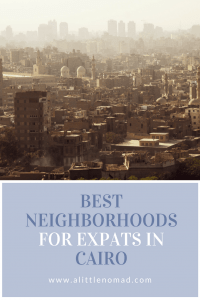 This article was originally published here: Living in Cairo – Which Neighborhood Is Best For Expats? Are you thinking about living in Cairo, but not sure what’s the right neighborhood for you? 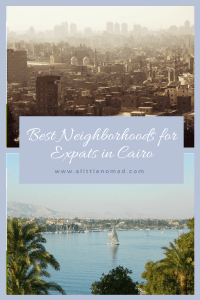 Together with an American expat living in Cairo, I created this guide to the best locations for you (and your family) to enjoy the best of what the capital of Egypt has to offer. Not every person is looking for the same thing when choosing where to live. We all have our own needs and desires. Rest assured though, Egypt is one of the most welcoming places we’ve ever been to, and here are the top 10 reasons we love Egypt! Do you want out of the hustle and bustle of the city? Are you dreaming of more peace and quietness with green areas for your kids? Or do you not like gated communities and prefer to stay where the parties never end? Whatever your preference may be, in Cairo there is enough to choose from for everyone! Cairo is the largest city not only in Egypt but in Africa. With Cairo’s population of 9.5 million people and an approximate area of 528 km², the constant struggle is traffic and congestion. 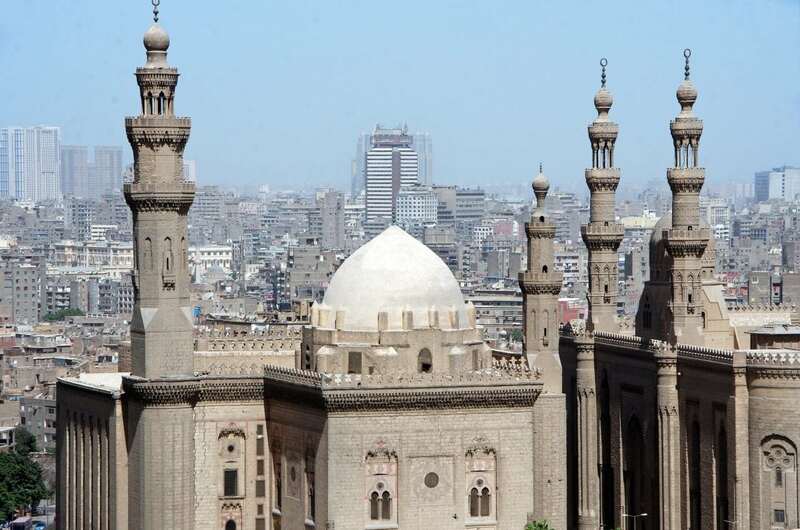 For over a decade, efforts have been made to expand and build the city of Cairo. The result is modern and new cities like New Cairo and 6th of October. There, the influences of western civilization can be seen in the infrastructure of streets and buildings – ultimately, creating a new style of life that is a far-off concept from Downtown Cairo. With newer areas bringing in a new kind of life to Cairo, there are now more places to choose from than there ever was. 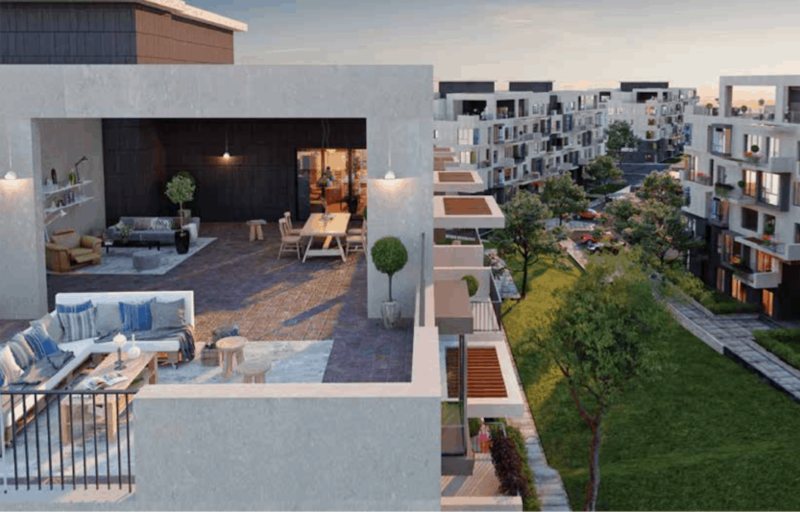 If you are unsure about these new developments, and wondering what’s the best place for living in Cairo, we’ve got you covered. New Cairo – What is it all about? Just 25 km away from Downtown Cairo awaits a more peaceful region: New Cairo. It was developed in hopes of fulfilling the cities need of more space. But what they did was change Cairo’s potential forever. With a little over a decade spent on expansion, it has already evolved and became the home for not only Egyptians but Expats as well. New Cairo has an estimated population of 5 million people and is still growing and developing into the new hot spot for living in Cairo. It offers plenty of establishments for everyone to enjoy. 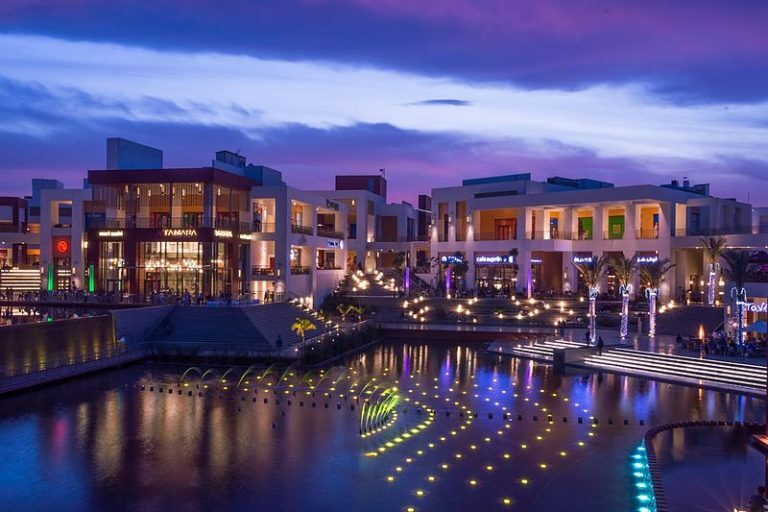 From shopping malls like Cairo Festival City with an outstanding outdoor area to developments offering cafés and restaurants with spectacular sitting and entertainment such as City Square in Rehab, Emerald Twin Plaza, and Waterway. Like these developments, there are other plenty of great places to go out and enjoy time with friends and family. Who is New Cairo perfect for? New Cairo is an excellent place to raise a family. It offers some of the top schools in Egypt like the American International School in Egypt, Cairo English School, and Canadian International School of Egypt. These are only a couple of reputable private schools that are highly recommended and all conveniently located in New Cairo. Not only great for your kids to receive an education based on worldwide standards but a possible job opportunity for foreigners. They are always looking to add new talent to their staff, plus they pay in US dollars or Euros, depending on the originating country of the school. New Cairo is also home to The American University in Cairo, which is an excellent option for your children to further their education. They successfully offer an American education system, a large campus providing several amenities, on-campus housing, and a student life that is similar to the US. If you’re not familiar with Egypt then you’re probably thinking it’s mostly desert and there aren’t enough green areas to enjoy. That would be a wrong conception. There are plenty of private sporting clubs that provide green areas and much more for you and your family. Take a look at Platinum Club e.g., a huge sports and social club, ideal for families. If you scroll down to the bottom of this article, you will find a list of some of the best compounds in New Cairo. 6th of October – What is it all about? 6th of October has a similar concept as New Cairo, the purpose being to declutter Cairo. Featuring a more urban life – a different style than traditional Cairo that has become a popular trend in Egypt. The top area is Sheikh Zayed. 6th of October is a newly developed area, just 32 km (20 miles) from the city of Cairo. Its developments didn’t come about until 2008. Considering it is still fairly new, it doesn’t have as many accommodations as New Cairo. But that doesn’t mean it won’t offer just as much in the future. Who is 6th of October perfect for? 6th of October actually has one of the top industrial zones in Egypt. Top companies like Seoudi Group, Bavarian Auto Group, Coldwell Banker New Homes, and General Motors Egypt are located here. Smart Village is an important technology business district that’s also located in 6th of October. These developed enterprises offer a wide variety of jobs convenient for people looking to move into the new neighborhoods of 6th of October. No need to worry about where your kids would go to school either, since one of Egypt’s top schools, The International School of Choueifat is located in 6th of October. There are also other prestigious options such as Heritage International School and The British International School, Cairo. Although 6th of October is fairly new there are still major developments in the area that make it very attractive. Mall of Egypt, one of the most famous malls in Egypt, is one of them. They are now the only facility in Egypt that offers an indoor snow park. 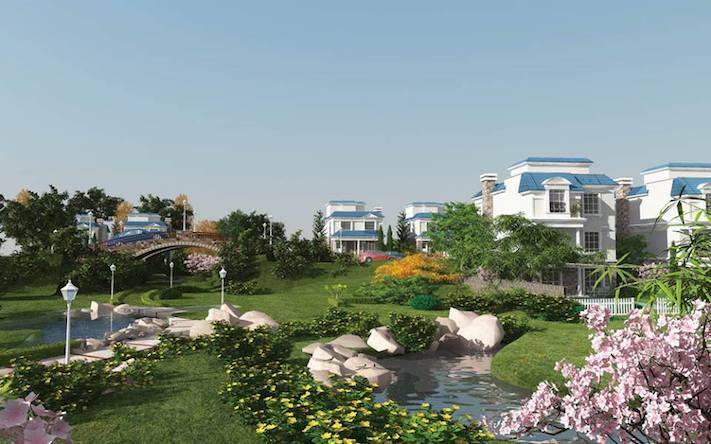 If 6th of October is a neighborhood you plan on living in, take a look at Dream Land. It is massive and an integrated, closed-in community that provides enough amenities for everyone. 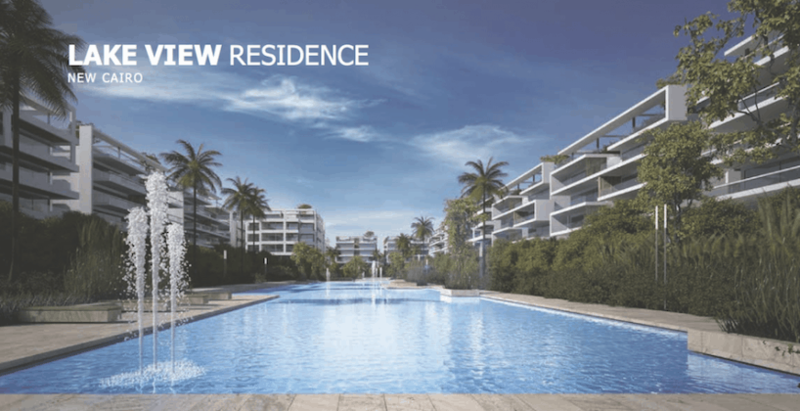 It offers residential living, a sports club, cinemas, spas, medical center, Dream Mall, and well-known school, The International School of Choueifat. There is also an amusement park, Dream Park. Perfect for some weekend fun with family and friends. If you scroll down to the bottom of this article, you will find a list of some of the best compounds in 6th of October. Tip: When you get there, you should absolutely check out these 5 Must-See Places in Cairo! The other options: Zamalek or Maadi? Maybe you are not excited about the new style of a more westernized way of life in the newly developed cities. And maybe you do love Cairo for the bustle. 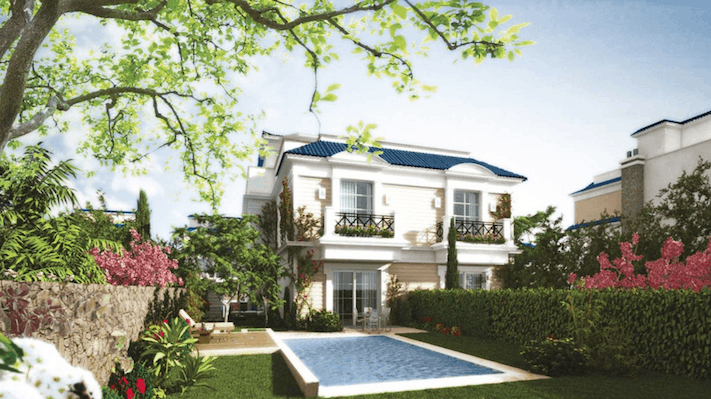 Then Maadi and Zamalek are the two main options to consider when deciding on where to live. 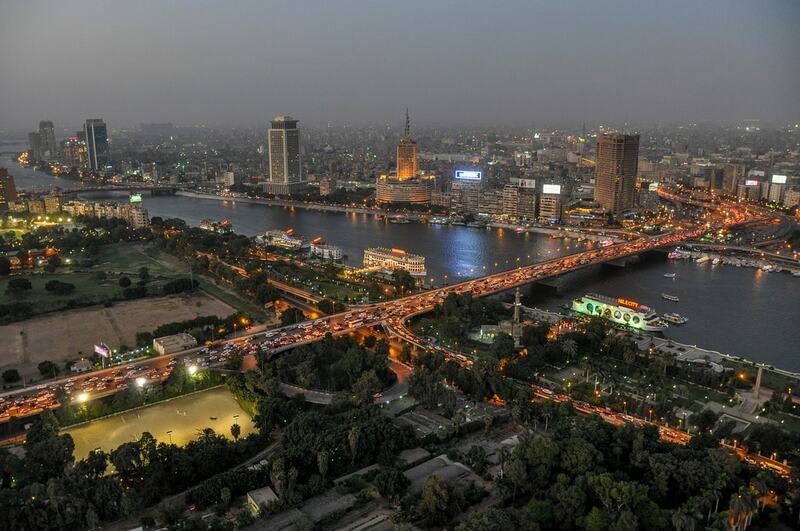 Maadi and Zamalek are both situated along the Nile. Zamalek is the northern part of Gezira Island situated on the Nile and Maadi is located along the eastern bank of the Nile. A common debate in Cairo is Zamalek or Maadi? A difficult one to settle considering both are affluent suburban districts that offer plenty of benefits. Personally, as a foreigner in Egypt, these are the areas that attract me the most. They have many similarities, both have lean and leafy streets with luxurious apartment buildings and villas situated along the side. Having some of the finest cafes, bars, and dining in Egypt, there is plenty of fun and activities to enjoy. Not only that, but there are a diversity of art exhibits, museums, high-end shops, and boutiques. Some areas are quiet and very safe with most streets having security officials at most corners. It’s very easy to commute and many businesses and shops can be found on one street. For that reason, they are both attractive areas for families and home to many European expats. Like many, you might be wondering what are the differences between the two? How do you set them apart from each other? Maadi – What is it all about? In Maadi, there are several great places to dine such as The Platform. As the name states, it is a platform presenting many of the preferred cafes and restaurant branches of Cairo specializing in coffee houses, Italian food, and Middle Eastern cuisines. Many love The Platform because of its location on the Nile, with its waterfront sitting. Road 9 is a popular hub in Maadi. From modern and commercial shops to upholstery and shoemaker shops to European style bars to coffee houses and hookah cafes to diverse dining – it’s all here. A favorite spot to eat for many is Zooba because of their unique and modern touch to popular Egyptian street food. Other favorite places to eat on Road 9 are Kazouza Street Eats and Grapes Restaurant & Lounge. If you’re looking for a place to relax and enjoy a drink with friends, Villa 55 Restaurant and Pub is great. There is also an excellent selection of bakeries such as Ralph’s German Bakery (a personal favorite), TBS Bakery, and Nola Cupcakes. Maadi is full of greenery and offers many outdoor activities, a major attraction to the area. Wadi Degla sports club is a famous sports club in Maadi, a perfect place for families to enjoy sporting activities and the outdoors. There’s also the Wadi Degla Protectorate, a massive canyon park, to enjoy outdoor activities such as hiking, bicycling, camping or dog walking. Absolutely perfect for amazing photography considering there are breathtaking sceneries, especially at sunset. Maadi being an affluent area, it doesn’t fall short on prestigious schools. Some options for private, international education are Lycee Francais Du Caire, Victoria College School, and Maadi British International School. Cost of apartments in Maadi come at an average price of 5,900 LEper m² and villas have an average price of 13,600 LE per m². Zamalek – What is it all about? Zamalek has a superabundance of embassies and consulates, making it the top residential area for diplomats. Known for its high standard of living, Zamalek tends to attract the most influential people of Cairo. It is an impressive area and living there offers little to no disappointments. Zamalek, like Maadi, offers plenty of green areas. In fact, the island was first referred to as “Jardin Des Plantes” (Garden of Plants). This was centuries ago when French landscape designer, De la Chevalerie, created island landscapes with gardens and plant nurseries. Still today Zamalek consists of lots of streets with greenery; making it a perfect place to go for a jog or take your dog out for a walk. Some main attractions of Zamalek include the Opera House, Cairo Tower, Culture Wheel, Gezira Sporting Club, Nile front hotels, and Boats. Situated on the Gezira island is the Gezira Sporting Club, the oldest sporting club in Egypt, offering sporting activities and large green fields for residents in the district. There is also Aquarium Grotto Garden, a lovely haven in Zamalek, a beautiful park for a relaxing walk and enjoy the scenery. 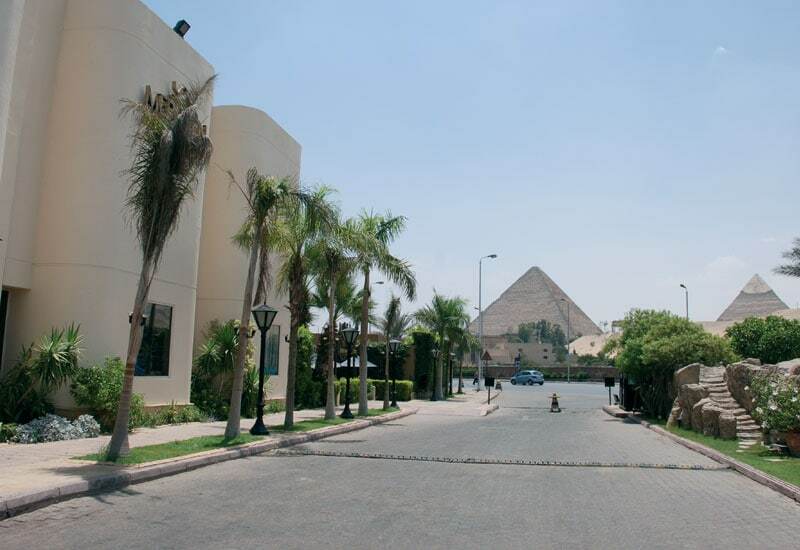 Zamalek is situated on the Nile and offers an amazing selection of cafes, dining and nightlife fun. It is the hot spot for Cairo! One of my favorite cafes to enjoy a lovely morning/afternoon on the Nile is Left Bank. You will love this place with its mix of French and Egyptian cuisine with perfect sitting and beautiful interior design. Right next to it is another fabulous restaurant, Sequoia, with an atmosphere that’s perfect for a date night. The nightlife in Zamalek is outstanding. All of the top hotels in Zamalek offer impressive restaurants and clubs with tons of entertainment and spectacular views of the Nile. Some of the best spots are Nox, The Terrace, and The Birdcage. Zamalek also has many Nile boats; a great option for a night on the Nile. Most of the boats have morning cafes, daytime and nighttime dining as well as bars and nightclubs. Some of the boats to check out are Le Pacha, Nile Maxim, and Blue Nile Boat. Properties in Zamalek have an average price of 20,550 LE per m². I hope this guide gave you a bit of an orientation as to where you should be living in Cairo. All of these neighborhoods have a lot of expats living there, so you won’t be the only “new kid on the block”.